If African-American state senators want to be taken seriously by Gov. Cuomo and opinion leaders, they’re going to have to step up their game big-time.They can start by naming a new leader. When you remove the emotion, the issue of competence really goes beyond race, ethnicity or party. When state Senate Democrats took charge of their chamber in 2009, it seemed their decades in the minority had left their governing and debate skills atrophied. They certainly didn’t have staff up to the task. And things got no better the next year. In fact, I remember cringing when then-Finance Committee Chairman Carl Kruger (now disgraced and in prison) debated the 2011 budget bill. Sen. Neil Breslin — who held the gavel at the moment of the 2009 coup, when rogue Democrats moved to hand control back to the Republicans — was no better in his role, either. 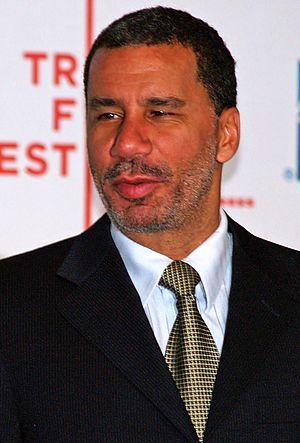 In a recent radio interview, David Paterson — governor at the time — recalled that the Senate Democrats were dysfunctional when they were power. There’s no racial code inherent in that description. Truthfully, the dysfunction began when Paterson himself became Senate Democratic leader in 2003, and he installed New York City-based staff who had little Albany experience or expertise. And it increased exponentially throughout the leadership tenures of Sens. Malcom Smith and John Sampson. During his brief tenure as majority leader, Smith installed his Queens posse as his key staff — rewarding people with jobs they later proved to be mismatched with. That trend must be reversed. If the Senate Democrats want to lose the mantle of dysfunctional leadership, they have to hire Albany-based policy experts and other talented, competent staff. To be effective players in policy negotiations and political strategy, the Senate Democrats need key staff to live in Albany. Operating out of New York City is a liability and leaves senators clueless about what’s really going on in the Capitol — and what’s about to happen. “Albany is a company town, and information is shared on weekends in supermarkets and churches. Why do you think they missed the coup?” said one long-time operative. Today, John Sampson must step aside because — as he himself has stated — leadership isn’t about one man but about the needs of the people. The new conference leader must steadfastly commit to building a strong set of backbenchers supported by an A-list professional legislative staff. Follow the model of the Assembly, where key central-staff decision-makers are based in the Capitol in Albany, not 250 Broadway in New York City. It starts with hiring competent personnel, not yes men. Professionals who know Albany can throw sharp elbows and draw the respect of Cuomo and his staff. Given the immediacy of the pending fiscal and policy issues, now is not the time for on-the-job training. Recruit respected old hands such as Dean Fuleihan and Frank Hoare (both products of Speaker Shelly Silver’s effective shop) — and even Pataki veterans. Many have been burned by Paterson (both as Senate leader and governor), Smith and Sampson; they won’t rush to support any new leadership. The new leader will have to inspire confidence. Serious action here can show Gov. Cuomo and Independent Democrat leader Sen. Jeff Klein that the conference recognizes its weaknesses were hindrances to effective governing. We can take race off the table. There’s no shame in their game by acknowledging that it must be improved. The governor is right when he says that governing is about delivering on the issues that are important to New Yorkers. Now is the time for Senate Democrats to stand and deliver — and earn the mantle of leadership. via NY Senate Democrats’ road to respect—Michael Benjamin – NYPOST.com. This entry was posted in African Americans, Government, Public Policy, RAce Relations and tagged Andrew Cuomo, carl kruger, david paterson, john sampson, Neil Breslin, NY State Senate. Bookmark the permalink.